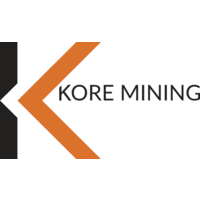 KORE Mining Ltd. (TSX-V: KORE) is pleased to announce fire assay results of all 4 holes of the Phase 1 drilling completed in 2018 on the Gold Creek gold exploration project located 2km NE of the town of Likely in the Cariboo – in the heart of British Columbia’s historic “Gold Rush” district. Hole GC18-39 intercepted 1.5 metres of 32.2 g/t gold, within an overall intercept of 9.0 metres of 5.8 g/t gold. Hole GC18-38 intercepted 10.3 metres of 0.9 g/t gold and 11.4 metres of 1.0 g/t gold. Confirms positive correlation in drill holes between elevated arsenic (>100 ppm) and anomalous gold and potential for a large resource within an 8.5km long arsenic-in-soils anomaly. 2018 Drilling results combined with 2017 results including GC17-35 which intercepted 84.65 metres of 1.0g/t gold including higher-grade intercepts, confirms large widths of mineralization and the potential for a large resource. Recent drilling combined with historical trenching extends the Camp Zone to 400m+ along strike and is open ended along both strike and at depth. The Gold Creek project is located 2km NE of the town of Likely in the Cariboo – the heart of British Columbia’s historic “Gold Rush” district. The Gold Creek project consists of 34 claims totalling 9,673 ha located approximately 8km to the NW of the Spanish Mountain gold deposit. Access is from Likely by all-weather gravel road. The site has well developed infrastructure and is just 70km NE of Williams Lake, a major regional centre serviced by an airport and railway. The property has several small roads that will provide easy access for drilling the claims. Drill core samples were submitted to ALS Minerals’ analytical facility in North Vancouver, British Columbia for preparation and analysis. Sample preparation included drying and weighing the samples, crushing the entire sample, and pulverizing 250 grams. Analysis for gold was by method Au-AA26: 50g fire assay fusion with atomic absorption (AAS) finish with a lower limit of 0.01 ppm and upper limit of 100 ppm. Samples were analyzed for 33 additional elements with method ME-ICP61 (four-acid digestion). Overlimit values other than gold were re-analyzed by methods ME-OG62 (four-acid digestion) and Cu-OG62 (ore-grade copper with four-acid digestion).